I use this space to write simply and practically about child development and share ideas for those looking to bring more breath and intention into their caregiving. Children are wise beyond measure. Their bodies, their souls, their intuitions know what to do. You cannot teach exploration or wonder, you can only hold space for it. To observe play quietly but not get involved is a huge change from how modern caregivers are often expected to interact with children. There seems to be this idea that children need our help to bring attention to what they’re doing, how much they’re learning from play. I think a lot of this is also tied into the amount of cultural pressure put on full-time caregivers to perform, to treat their caregiving like a job, to show results. Doing your own thing and trusting your children to do theirs can feel and look like you’re being uninvolved or unsupportive, even though it is better and easier (in the long run) for everyone. Your children will learn more and be more well adjusted if you allow them to play free from commentary or query. Trust me. They will learn of the verdant green of new leaves, the brilliant vermillion of the setting sun, the placid blue of a calm ocean without you asking them “what color is that?” They will listen to bird song and dogs barking and be filled with curiosity and wonder, absent an adult asking “what does a doggy say?” They will delight in building block towers or watching a silk dance in the afternoon breeze and discover movement and mechanics all by themselves if you sit back and drink your tea and don’t ask them what they’re making. This is not to discount the endless energetic work of holding space, holding rhythm, observing their perfect uniqueness and offering them opportunities to play with it. This is not to promote absentee parenting or a dismissive attitude. It is to promote TRUST. Trust your children that they know what to do, they know what they need. Trust yourself that you are the perfect person to be with them in this moment, that your presence and mindfulness is involvement enough. Our work is to create a safe space for the children, then let them just be in it. 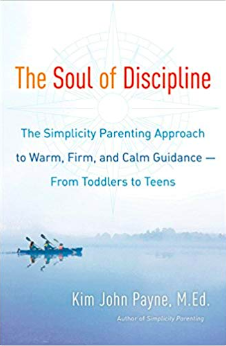 Discipline—the work of establishing boundaries and becoming a loving authority in your child’s life—is one of the most difficult and intimidating parts of working with children. Many of us come to this work with trauma from our own childhoods that informs us how not to do things, but that of course begs the question of what to do. And we’ll get to that. But I think the first thing we need to consider is why. Of course, there are practical considerations, safety reasons, etc., but beyond that there is something much more essential to our work as authority figures in their lives. You, as primary caregivers, are the first guides children have in this world. You are the ones who show them what it is to be a human on this earth, and especially when they are very young and learn so much through doing, showing them what is and is not good to do is the best way to do this. Children don’t come into this world with the ability to be self-disciplined, or to self-regulate. These capacities will come in time, and the best way we can help them along is by offering external discipline and regulation. A young musician, for example, needs loving authority to help them practice their instrument daily before they can become the adult that wants to wake up early and practice. Likewise, a toddler needs someone to lovingly hold them when they’re sad they didn’t get the toy they wanted, before they can become an adult who will have healthy coping mechanisms to help when they didn’t get the job they wanted. We are literally modeling for them what their higher reasoning will eventually become for themselves—an awesome and difficult task! As our children’s guides through this new world, one of the most supportive things we can offer them is a strong, holistically considered rhythm. Repetition and predictability are incredibly nourishing and reassuring to young a child’s consciousness. You can see this in their desire to read the same book, over and over again, to sing the same song, to eat the same after school snack. Without our years of experience the world would seem a chaotic, disorderly place: rhythm is a way to begin to introduce sense and find the pattern to what is going on. A strong rhythm can also take the place of a lot of yelling. If you always get dressed and then eat breakfast, or always take a bath before bed, or Wednesday is always the day you go grocery shopping after school, your children will quickly acclimate to this regularity and take it in stride. I amazed at how quickly the children in my class have acclimated to our classroom rhythm over the past few weeks, and where once there was much confusion and a huge need for adult re-direction, there is now understanding and order. Cleanup, rest, eat. Play, have some apple, say goodbye. These orders make sense, with each activity giving the child what they need to thrive in the next, and keeping them incredibly regular allows everyone to relax in the knowledge of what will come next. In this way, especially when adjusting to a new environment, previewing the rhythm can also help children who are struggling with anxiety. Make sure what you’re asking of your child--whether it be to sit quietly, to stay by your side in the store, or to play nicely with a friend--is helpful and appropriate for them at this point in their development and also this point in their day. The prefrontal cortex is the most energetically “expensive” part of the brain to operate, so it stops doing it’s important work of judgement if we’re tired, hungry, sensorially overwhelmed, or emotionally overwhelmed. In children, for whom the prefrontal cortex is tiny to begin with, even seemingly small triggers can get them to a point where they “act out” or melt down. A toddler especially is still in a place where processing and following verbal instructions is really hard. In teaching them to “listen” and do what you say, it is often helpful to do it with them while saying it. Much easier to say “it is time to clean up now” while handing them a block and the block basket, or to say “time to try the potty” while walking them to the bathroom. So often I hear toddlers peppered with an endless stream of questions—the child ignoring them and the adult growing increasingly frustrated that they won’t respond “yes, I would like to put my coat on now.” This is exhausting for everyone involved, and can make providing boundaries for your child much more challenging in the long run. Think about in which situations your child’s opinion is actually relevant or helpful. Is it up to them if you go out for breakfast? Is it their responsibility to decide what coat they wear? Even adults can get “decision fatigue;” for children this sets in much more quickly. You do not need your child’s permission to make decisions for them, you have to simply be their loving authority. The less of their energy you demand for decision-making, the more is available for learning and play. At the same time, a well timed question: “where does the (toy) sheep sleep?” can aid in transitions and engage their imaginations more than just “put the sheep in the barn.” But you can see how different this type of questions is than asking, for example, if they want to clean up now. Much of having a healthy relationship with discipline is being confident and sturdy in your role as the authority figure. I like to be able to honestly tell the children “I say what I mean and I mean what I say,” and this means being very careful with what I tell them. Try proposing a small, simple consequence such as: “If you throw the shovel into the bushes again, we’ll have to put it away.” rather than something something broad or non-specific. It will make it easier for them to understand the consequence, and easier for you to follow through on it. Likewise, if you tell them “one more story and then lights out,” then be ready to turn the lights out after one more story. If you’re not ready to follow-through with something, do not propose it. When a child—for lack of a better word—misbehaves, our anger can make us want to send them away to “think about what they did.” If you’re feeling really angry or like you might want to hit your child, then by all means give yourself some space. But often what the child really needs is a moment to take a breath and reconnect with you. Social worker Kim John Payne has the saying “there is no such thing as a disobedient child, just a disoriented one.” Spending time sitting next to you and holding the ball of yarn as you knit, for example, and spending some time in observation can often provide the re-orientation needed. This is one of my favorite books on the subject of discipline. It’s long and can feel a bit dense if you’re looking for right now solutions, but it gives a beautiful overview of the role of the caregiver as authority—and how that authority changes in nature—for the first 18 years of life. Throughout, Kim uses examples of families he’s worked with, which is both illustrative and helps us feel less alone in our problems! In one of my favorite chapters, he reviews discipline “fads” of the past three generations, which is incredibly helpful when trying to step back and look at any trauma you might have from the way you were disciplined as a child that might be impacting your comfort as an authority figure now. Much more easily digestible, I often hand this over to parents lost in the throws of some new, confusing behavior or challenge at home. The authors use the neuroscience of child development, explained in simple terms, to explore why children act the way they do and give you guidance on how to respond. Helpfully, it uses comics to illustrate some points, making it a great choice for visual learners or anyone trying to review it on the fly. For caregivers of toddlers, this book is awesome (it really covers 18 months-3). I review it regularly when I need a little perspective into behaviors or a reminder of what’s to come. The authors are both serious experts in child development and guide you through common behaviors while offering suggestions on how to structure your 2 year old’s life so they’ll thrive. The chapter “Techniques” is particularly helpful when considering discipline. A note that my copy is from the 1970s, and while most of the outdatedness is funny there are also a lot of ridiculous gender norms that I sincerely hope they’ve edited out of more recent printings. Much thanks to Maggie Touchette of Our Sons and Daughters School for helping me plan the talk that inspired this blog post, and for teaching me so much about discipline. How I support myself through the emotional and energetically draining work of caring for young children. Now that we’re getting into the flow of the school year, I’m once again finding my way through the self care practices I work with to support my work as a teacher. While summer self care looked like a lot of time spent on the beach, eating a lot of fresh vegetables, letting go of an obsession with linear time to instead flow on my intuition, with Autumn comes a real shift towards routine and nourishment, and taking the wisdom I found in the freedom of summer deep into my inner life. Each Autumn I reinvent these practices to serve my ever evolving ways of being, and this year especially—with the potentially hustle-inducing process of launching a new project—I am finding lots of small ways throughout my days to find peace, center, and flow. While I think self care is a deeply important part of being a person no matter what you do, working with children (whether you get paid for it or not) is so particularly intense that I see a real need for caregivers to devote extra time to it. Children are high drama and energetically and physically draining. They don’t have the same energetic or emotional boundaries that adults do, so they lean on and borrow from our energy to move through the world. Caregivers need to be SO strong and SO centered to manage that without breaking down and we don’t get that way by accident: it takes work. Telling people to do yoga and meditate isn’t exactly groundbreaking—but trust me, DOING IT is. I’m sharing what I do in the hopes that it will offer the inspiration or information needed to spur you into action in some new way. I’ve practiced yoga since childhood, and have maintained a practice (in different forms) for over a decade now. I take classes, but last year began giving myself the time to maintain a home practice as well which has been a real game changer. I take this as an opportunity to connect with my intuition and really tap into what my body needs on a given day. If you want to let someone else plan the class for you, Yogis Anonymous and Gaia both offer subscriptions to access online classes that people I trust love. Beyond it’s importance as a part of a self care practice, yoga supports my work with children by reminding me to find my breath in challenging situations. It also supports my physical body, which is worked really hard in the classroom. I’ve learned how to move in a way that keeps me flexible and avoids injury, and have used yoga to work through whatever overuse injuries I sustain. Usually I sit to meditate after I’ve come into my physical body through yoga in the mornings. I started out using Headspace, which has awesome guided mindfulness meditations that I recommend to anyone looking to get into a daily practice. 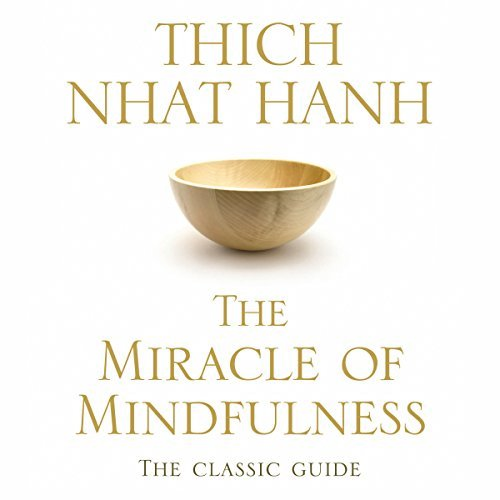 Giving myself just 10 minutes a day for a few months to meditate was a relatively small shift, but it measurably improved the way I worked with the children and my overall mental heath. If you’re looking for more guidance or support, Michelle Mankins is offering a 6 week mindfulness series on Wednesdays, just upstairs from Brooklyn Morning Garden! Last year I had the blessing of an incredible outdoor shower that I used through November. I also had access to the beach every day after work (and even went some mornings before work). This year, back in the city, no such luck—but I do have a bathtub! Being with water is so powerful and profound when done intentionally, so I’ve made a point to do it every day, even if just in my tiny Brooklyn bathroom. In the morning I take a cold shower, slowly turning the knob from lukewarm to freezing over the course of a few minutes. It wakes me up and is a huge exercise in patience and mindfulness. In the evenings, I often take a very hot bath as well, to re-center myself after a long day. “Earthing". This one is also harder to implement in the city, where we don’t all have beautiful lush meadows just steps away. But, especially when I’m feeling nervous or out of myself, it’s always worth it to bike to the park and take off my shoes and just breathe. Urban life can be literally so ungrounded, with lots of us spending our lives floating in steel towers, that the simple act of feeling the soft earth beneath our feet can be a big deal. (And yes, I do this even in the Winter.) I return from these outings with a renewed sense of perspective and calm, and often with inspiration on how to solve some problem or another. This is also something that’s easy to fit into your day with children, and good for them too! Obviously in the city you want to check the ground for broken glass, etc., but on the whole I’ve found both Prospect and Fort Greene Parks fields to be much cleaner than I was anticipating. Not to counter everything I just said or anything, but all this self care stuff can get really heavy and exhausting. We can spend so much time taking care of ourselves, trying to fix ourselves, that we forget who we are and why we’re worth caring about. So I’ve also been giving myself permission to do the fun, silly stuff that’s maybe not so on brand. Lately I’ve been binge reading Harry Potter, taking a lot of spontaneous CitiBike rides, and listening to Santigold really loudly in my car. My partner is also really into games and we’ve been playing Fairy Tale Fluxx (a weird card game that comes in all sorts of different themes, like Star Trek and Anatomy and Pirates) and Gin at night rather than watching TV or both getting sucked into email. One recent change I’ve made is to switch my afternoon coffee over to this mushroom coffee. It is definitely coffee, and is caffeinated, but is chiller and strings me out less than my traditional protocol of undiluted cold brew concentrate. This switch has helped me stay productive through the afternoon, rather than burning out and having to take a nap/stare blankly at the wall. Like the millennial I am, I doctor it up with collagen peptides and oat milk. I’m also in love with infusions, nettle in particular. I am anemic, and I find that when I am drinking nettle infusions regularly I feel much stronger and have more energy. Much like a tea, but stronger, infusions are the best way to extract the medicinal value out of herbs like nettle, oatsraw, or raspberry leaf. I make mine in a french press: one ounce dried plant to every quart boiling water (eyeballed), let sit overnight or for at least 4 hours, then plunge. Nettle is best chilled with a pinch of salt, IMO. researched adaptogenic mushrooms and herbs and helps normalize cortisol levels, which can get out of whack in the face of all the stimulation our nervous system faces in modern life. 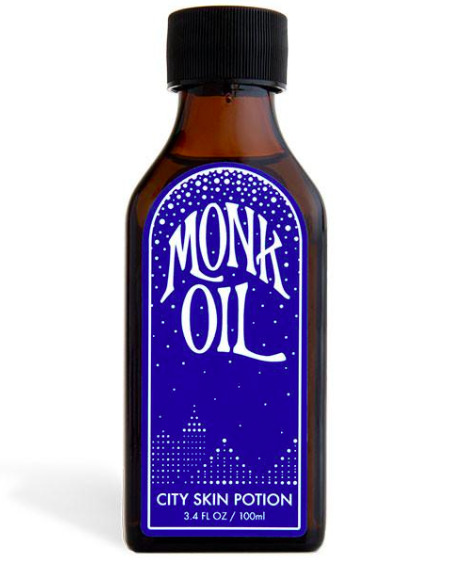 Monk Oil is made by a Brooklyn-based Waldorf kindergarten teacher, who formulated it to help those of us in cities develop loving fortitude. 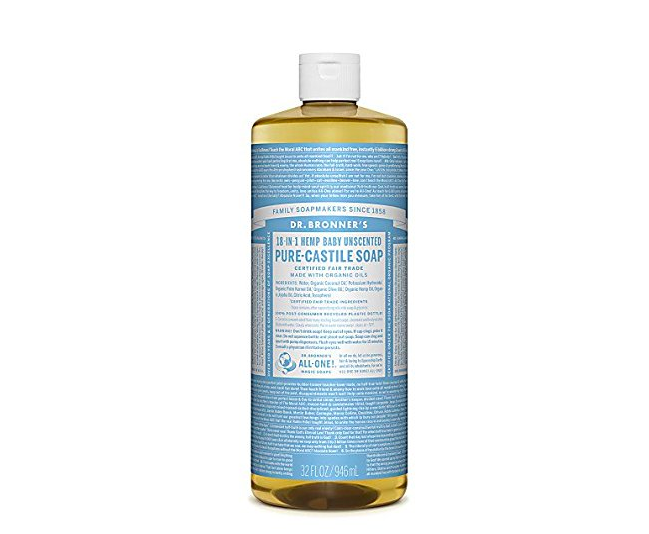 It’s made out of cedar, lavender, and yarrow: all powerfully protective herbs. I cover my heart chakra with it before entering into a potentially overwhelming situation (like the subway) and have used it daily to support boundary work with children. With all of this guidance, I want to acknowledge that it can feel exhausting to have to take care of yourself on top of everyone else. I remember at one point in my career breaking down in tears because it felt like all I ever did was take care of things: the house, the classroom, the children, and then at the end of the day myself! I’ve made a lot of structural changes to my life since then and have been able to now shift my perspective on self care to be something I do out of love for myself, rather than something I feel obligated to. For me, this shift required some massive prioritizing of how I spend my energy, and for me to make the decision that I didn’t have to hustle to be happy and successful. This is a larger evolution that I am too close to to offer much advice on, but if you’re feeling that way please believe me—I understand. If you’re reading this, know that my biggest wish for you is that you learn your own worth and find comfort in this life. No matter the pressure you feel to do things perfectly, one of the most important things you can model for the children around you in a deep love of and care for yourself. 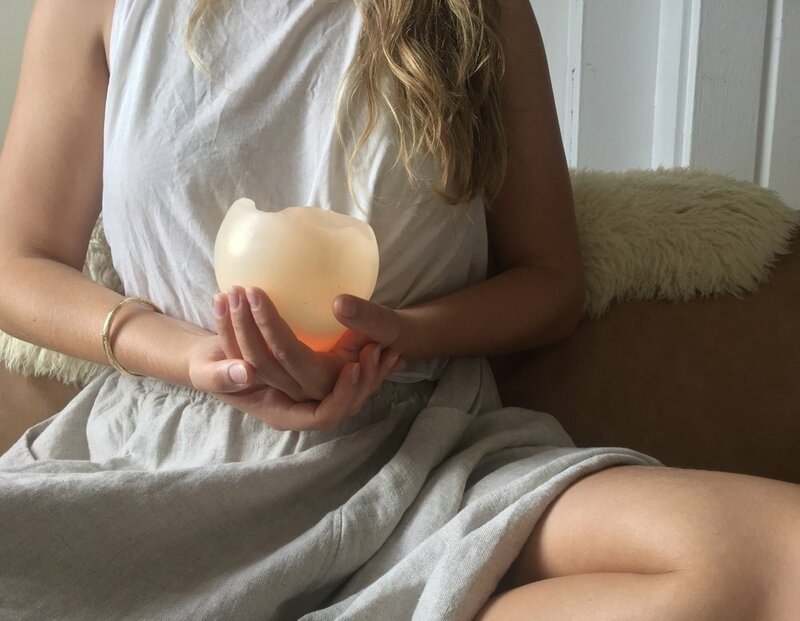 The core aim in my life of these practices and potions is to allow myself, especially on hard days, of my inherent worth goodness and to find moments of comfort in my skin. When children enter our space for their first days of school, they are invited in in warmth and love. They and their caregivers enter together, are given plenty of time and space to take off their shoes and hang up their coat, and then turn to their teacher to have their hands carefully washed and dried. Their caregivers, if they wish, are invited in to sit for a cup of tea and observe the children in play for a few minutes. Then, off they go, to do the work of adulthood (whatever that looks like to them). And the children stay, to do the work of childhood. We do everything we can to offer a soothing, gentle threshold to independence, because we understand that this transition--spending time away from one's primary caregiver, often for the first time, can be a big deal. Often time it happens quite seamlessly, with all parties glad to have some time and space dedicated to themselves. Children are happy to see their friends and teachers, and often barely look up when their caregiver says goodbye! But sometimes, for some children, it's a lot less seamless, and a lot more dramatic. This is also very normal, and we're here to help. Separation can be hard. Sometimes children cry. Sometimes grownups cry. It's all okay. In case you need more of a plan than "it's all okay," here is what I have seen work. - Know, in your heart of hearts, that you are bringing your child to the playgroup (or wherever) because you love them and you know it will be good for them. Meditate on it if you need to, figure out what fears you are carrying. Children are remarkably psychic and intuitive, and if you're anxious they likely will be too. - Before dropping them off, share a simple "preview" of the day with your child. For example: "After breakfast, we're going to bike to Morning Garden (or wherever you're going), and you're going to see your friends and help make some soup! After you sing the goodbye song, I'll be there to pick you up and we'll bike home for some lunch and nap time." The more rhythmic your days, the better they can anticipate and relax into the sequence of events. - When it's time for you to go, it's time for you to go. I once heard a parent say: "talk like you're relaying a fact of the universe." It's time for you to go, just as sure as if I drop this pen it will fall to the ground. Do not negotiate, do not ask permission, just say goodbye and leave. If this seems harsh, remember this: One of the greatest things you can teach your children is to trust. In order to do this, they need to trust that you will do what you say you are going to do. Promising one thing (I'll come in for a cup of tea, give you a kiss, then head out!) and doing another (okay, I'll have another cup of tea! ), while it may placate them in the short term, is confusing and will make trust and separation harder in the long term. And if you need even more reassurance, please know that almost all the time, within about five minutes, the children are absolutely fine and happily go off to play. Often it happens even faster, before their caregivers even leave the front gate! We're all in this together, so please reach out to your child's teacher if you want to talk, so everyone can be on the same page and support each other. Practical Work with Children No. 1: Why? With my practice of working with children, I find myself using the term "practical work" every time I try and explain what we do to other adults. I shy away from the term "chores" because I find many of us have such negative associations with it from our own childhoods, and because it implies a kind of transactional, hierarchical system of task assignment. Instead, practical work is the work of life, the work of lovingly caring for our shared physical environment. Practical work is a practice, one that children are naturally drawn to and that can be cultivated to enrich both those lives and that of the household and community as a whole. By helping children engage with practical work, we are teaching them to feel at home in the world and to build the confidence that they understand what it takes to be here. Learning to sweep may seem like a small thing, but this idea: "I know how to do what needs to be done," is one that can grow with them. It is that same idea that helps them feel comfortable, later in life, to learn to fix a car or build a house or start a small business. Things like cleaning up your spills or helping a friend with theirs, working as a team to sweep up a pile of dirt, or building something useful also teach important values of responsibility and community that have benefits that reach far beyond a tidy home.
. . . There are two ways to wash the dishes. The first is to wash the dishes in order to have clean dishes and the second is to wash the dishes in order to wash the dishes. Children can easily find this mindset of mindfulness, it is just our adult consciousness that is so result-oriented that it is easy to get impatient. But what a gift it is to give the children the space and time to be truly present with work worth doing. I'm hoping this will be an ongoing series to help us dive deeply into specific types of practical work and how best to approach them. First up: Sweeping! Tell me, is there anything particular you're interested in learning more about? February is a hungry time of year for our foraging friends. The scattered seeds of Autumn are long gone, the first tender shoots of Spring still weeks away. It’s a good time to feed the birds, to share some of our stored bounty with them as we watch the light return and feel the ground start to wake up. This is also the time of year when, proverbially, the birds start looking for their mates—an observation that forms some of the basis of our modern celebration of Valentine’s day.